I’ve been busy again with a few other things (planning for a wedding is surprisingly complex!) but that allowed time for some parts to arrive. First, I realized I needed to buy a pitot tube, since wing skin close-up comes very soon! I have a Garmin GAP 26 on order, it should arrive next week. It was on backorder (!) from Aircraft Spruce, wonder if the recent Oshkosh airshow had anything to do with it? The version I’m getting is heated and regulated, meaning it has a little thermostat keeping the probe at a constant temp rather than just sucking down 10 amps continuously and getting red hot. I’ll have to find a space in the wing to mount this regulator, which has to be within 2 feet of the pitot probe. This particular probe also has an Angle of Attack (AoA) pressure port, so I need to run two pneumatic lines back to the fuselage. 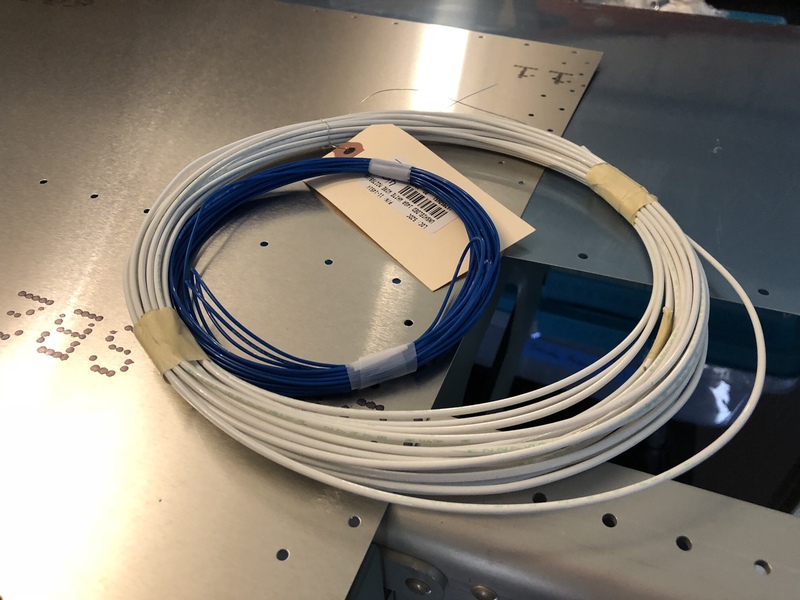 For the pneumatic plumbing I decided to go with flexible 1/4″ color-coded nylon tubing, rather than the clear vinyl tube included with the kit, so I bought some tubing and fittings from my favorite hardware supplier, McMaster-Carr. While I was at it, I also got some nice expando sheathing for wire harnesses, special zip ties, and standoffs for securing the zip ties. I say “special” because most zip ties are made out of nylon that becomes brittle below 32 degs F – well, it regularly gets much colder where I live, so I got ties that are made from a heat-stabilized nylon, are flame-retardant and rated for -40 to +220 deg F. Same with the wire sheathing I bought, it’s made from PET plastic which is also flame-retardant. The kit doesn’t call for a heated pitot as standard equipment so I had to get some extra wire. The stuff to get is called Tefzel wire, named for the material the plastic jacket is made from. This material won’t smoke or cause hazardous gases if there were a fire, so it’s a good safety measure. 14AWG for the current-carrying wires (white), and 22AWG for a status discrete line (blue). 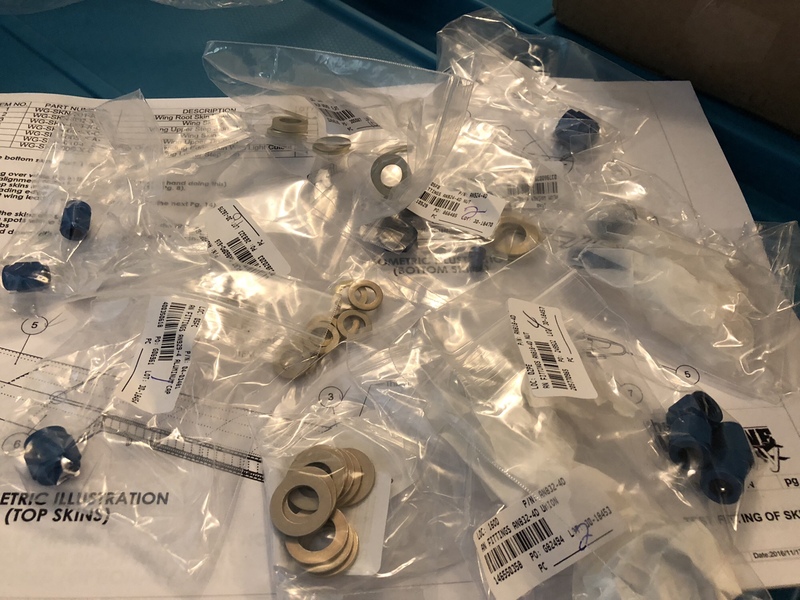 Various AN-style fittings for the pitot pneumatic lines and upcoming fuel tank build. I’ve spent about 2 years trying to find my first airplane. Although I’ve been a member of an active C-172 club since 2007, I’ve always wanted a plane to call my own, to take out whenever I want, wherever I want, and for as long as I want – just like you’d expect from your car. 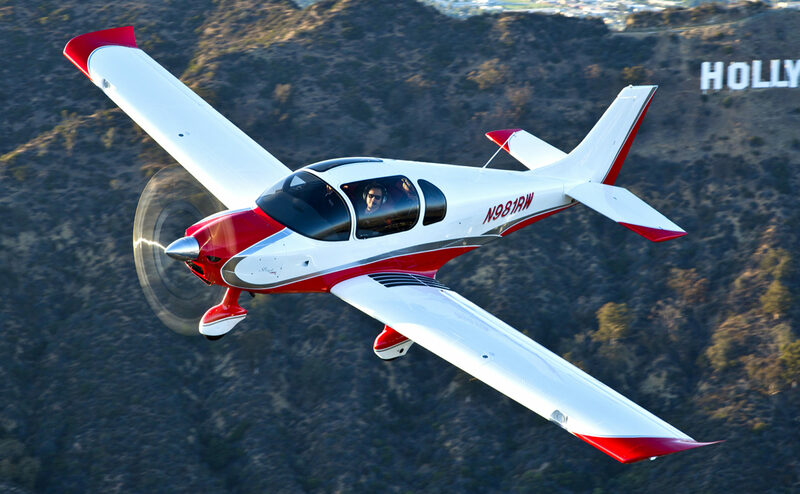 I’ve done a long search (at least 2 years), looking at both used planes and a variety of kit planes, and finally decided that The Airplane Factory Sling 4 was the best fit for me – both physically for my height (6’6″), and for the “missions” I plan to fly. Construction begins in April in our garage. In the mean time, I’m preparing my work space and acquiring the various tools and supplies I’ll need to start!